I found the Lunk Action Figure on Craigslist. This guy was selling his whole collection of Robotech Figures. Lunks Action Figure seemed a little awkward figure as he was really hard to stand and also his mid torso was always lopsided. I guess because of the rubber band inside him that keeps the figure together is almost worn and really old. "Lunk" is an ex-serviceman who is trying to come to grips with his act of desertion. He is a powerful man, almost brutish, yet he is a totally lovable character. Lunk is always eager to lend a hearty, helping hand in the war to recapture the Earth from the Invid. Lunk figure came with a gun (the Gallant H-90 in rifle configuration). The Gallant H-90 was the standard issue all-purpose sidearm of the Robotech Expeditionary Force. The Gallant H-90 had three modes of operation; a standard pistol mode, which was the weakest in terms of fire power ( can be used against Human-like targets and not be lethal), a high-power semi-automatic pistol mode, and (an extra energy clip, and barrel attachment) a fully automatic pulse energy rifle. Jim Austin, AKA Lunk, was a biomaintenance engineer that returned from the expeditionary forces to fight off the Robotech Masters. During the aftermath of the Second Robotech War, Lunk served as a certified Bio-Maintenance Engineer for the returning Robotech Expeditionary Force on Earth. It was during the Invid Invasion when Lunk froze in combat and while his friend was slaughtered by Invid. Although he knew any effort to save him would have been useless, he nevertheless blamed himself for his death. He made a vow to deliver his friend's book, "Inherit the Stars" to his father, Ralph Nader. His guilt however, kept him from fulfilling his promise for many, many years. 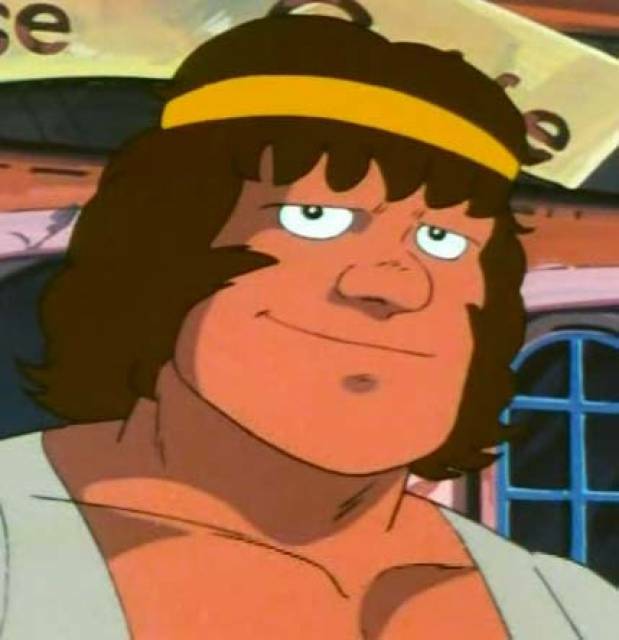 Lunk developed a reputation as the village coward, something he had to live with until Scott Bernard's group arrived and helped him fight off a gang of local thugs. He joined Scott's band of freedom fighters, and proved time and time again, that he was no longer the weak-willed fool he once was. Not a bad Action Figure. I'm glad to have Lunk in my collection. That's a great looking figure!